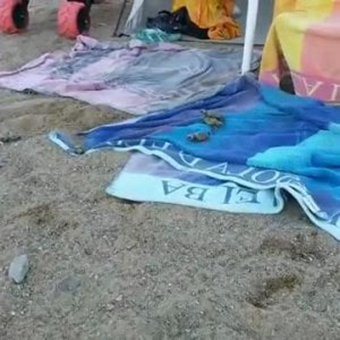 A wedding on the beach below Capoliveri on the island of Elba was interrupted by the spectacle of dozens of just-hatched baby sea turtles nearby who surfaced out of a hole and walked determinedly to the sea to swim away under the eyes of spectators. The beach is Straccoligno, near Capo Perla; the nest was buried deep under a beach towel but the hole leading to the surface was excavated luckily in an open stretch of sand. During the evening, the last turtle to emerge became so disoriented as to end up under the wedding banquet table. The bride herself picked up the small creature and walked barefoot to the shoreline, entered the sea and sent the turtle off in search of his brothers and sisters. She made a wish for the future, both for her happiness and continued good luck for the turtle. 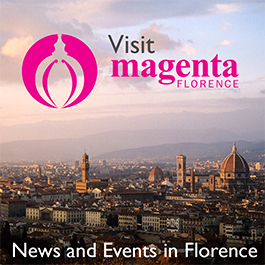 To see a video, visit the Repubblica news site.